P.S. 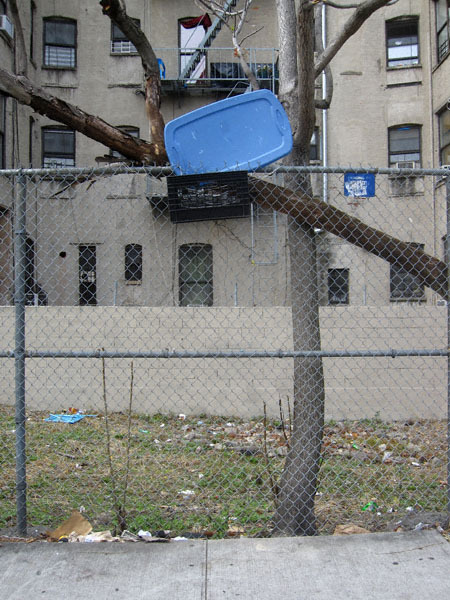 : I am constantly fascinated the by manifold ways milk crates are employed for alternative purposes in our fair city, be it a basketball hoop (as seen above) or otherwise. 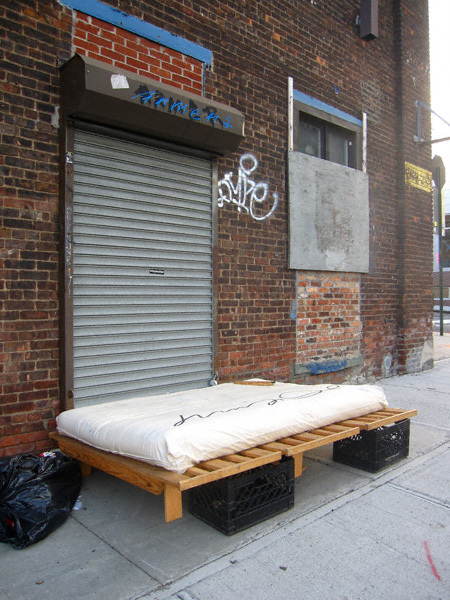 Here’s yet another example Williamsburg wiliness. It hails from Broadway. 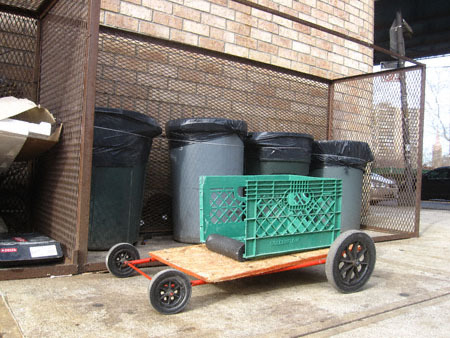 A go cart made from a shopping cart, a milk crate and a helluva lot of ingenuity. This is nothing short of awesome!